"How to recover deleted photos from Android on Macbook? My brother just deleted them and now there's no where to find all my photos." You might delete photos, videos, songs without care or lost data accidently when using Android devices. If this is the case, you could resort to an Tenorshare Android Data Recovery for Mac tool which enables you to easily recover Android Data on Mac (including the latest Samsung Galaxy note 4, Samsung Galaxy S5, Sony Xperia Z3, HTC One and Moto G). Haven't yet lost data from Android but worry about data loss on your Android devices? Actually there are some precautions. Check How to Backup Android or How to Sync Android Contacts with Gmail. Here is the powerful Android data recovery software that might be able to help you get all data back. Android Data Recovery for Mac provides complete file recovery solutions for Mac users to recover deleted or missing pictures, videos, music, Word documents, PDF files, etc. from Android phone and tablet. 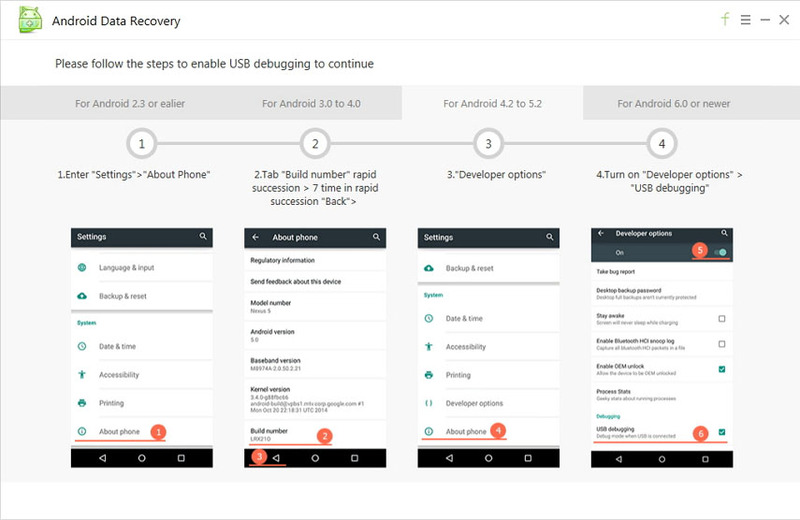 It provides you 2 ways to scan Android devices and 2 recovery modes for recovery data thoroughly. Tenorshare Android Data Recovery for Mac works well on all OS X including the latest Mac OS X 10.10 Yosemite, 10.9 Mavericks and 10.8 Mountain Lion. If you are running Windows, you can simply go for Tenorshare Android Data Recovery. Download and install Tenorshare Android Data Recovery for Mac on your Mac. Connect Android phone or tablet to the Mac through USB cable. 1)	Launch the program on OS X, connect your Android devices to PC and follow the instruction below to enable USB debugging. 2)	Turn on USB storage and start to scan Android phone. 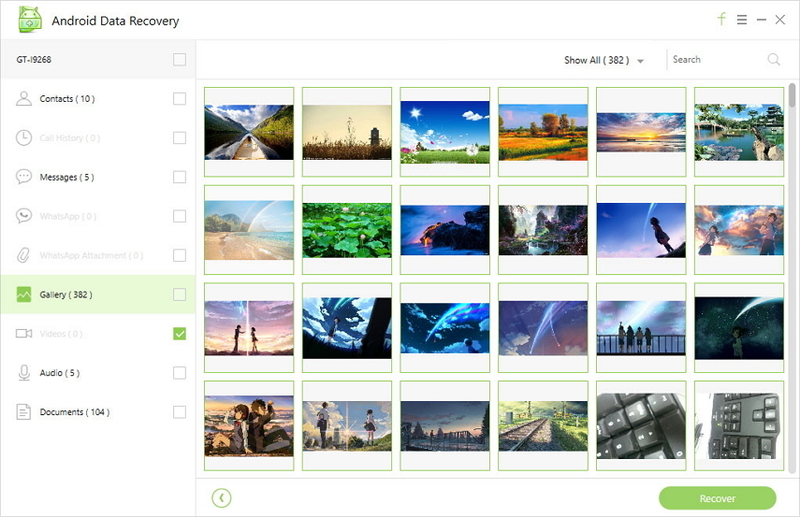 3)	After previewing, select your desired files and click "Recover". Don't forget to specify a save path to save the recovered photos, videos, PDFs and other files. The Android Data Recovery for Mac software also allows you to recover Android files on Mac without connecting your Android device to computer. As long as you have Wi-Fi connection, it could scan and restore all the data on your Android phone or tablet. 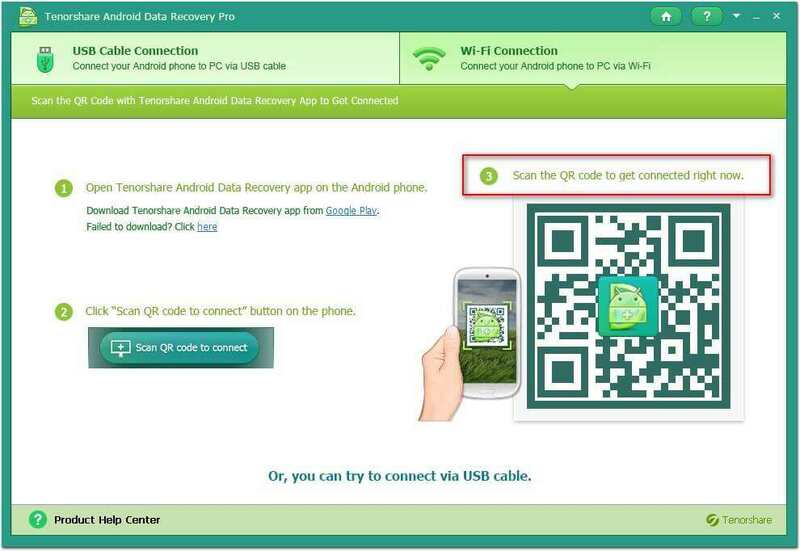 For detailed steps to operate, you can go to Android Data Recovery for Mac guide page.